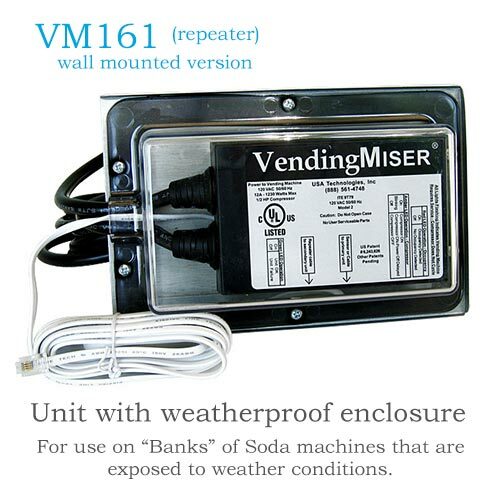 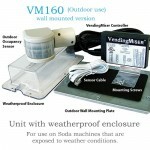 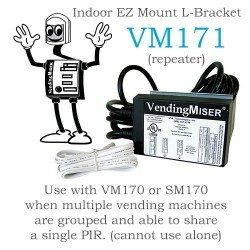 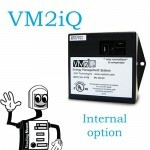 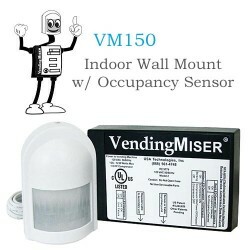 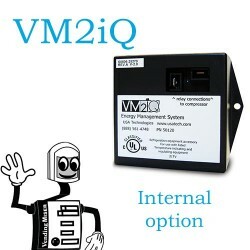 VendingMiser VM161 Controller with internal Sensor Repeater and weatherproof controller housing. 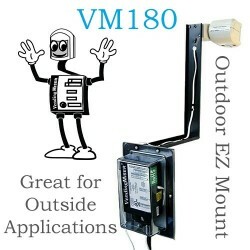 Wall mount for outdoor use. 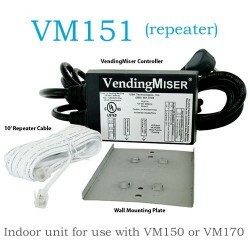 Use as secondary unit to the VM160. 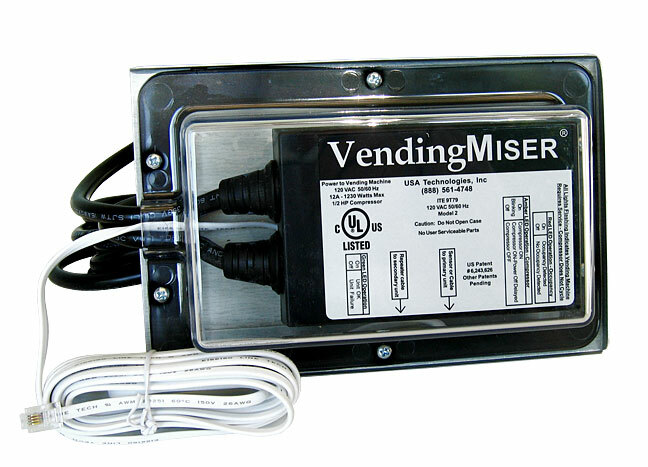 Includes 10′ data cable to connect to primary VendingMiser. 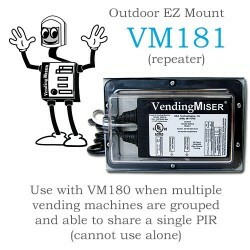 Up to three VM161 units can be connected to a primary VendingMiser for a total of four units controlled by one sensor.